Meditation is the most powerful practice that I have discovered for increasing focus, improving self-control and training the mental toughness necessary to navigate the ups-and-downs of creating your own educational path in life and being your own boss. The problem with meditation is many people struggle with it initially and fail to build a consistent habit of doing it. A big reason for this is because they don’t have any direct biofeedback on how well they’re doing it. This is where heart rate variability training (HRV) comes in. 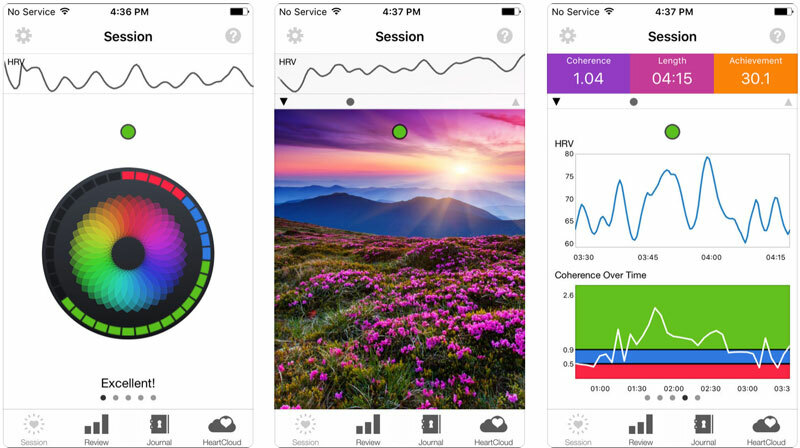 Using an inexpensive heart rate monitor and your smartphone you can easily get real-time feedback on how your meditation practice is altering your physiology and relaxing your body. 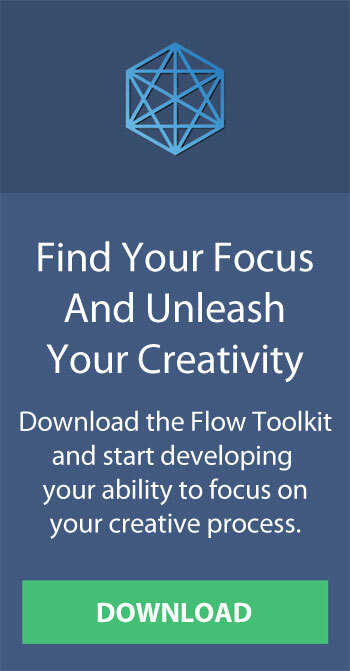 This real-time biofeedback is very helpful for many people with the intention of building a long-term meditation practice because it allows them to visualize their improvements over time. Heart rate variability differs from basic heart rate tracking that measures beats per minute in that it actually measures the time variance between heartbeats. With this heart rate variability, you can actually get a good picture of the resilience of the heart organ, which is a good predictor of both well-being and longevity. For example, a device like iHeart can actually use a measurement of your heart rate variability and use the data to calculate your “Internal Age” by measuring the stiffness of your aorta. Aortic stiffness is a proven metric for overall organ health and is capable of predicting the risk of death from most causes. The heart is a muscle, which means it has muscle “memory”, which can be systematically trained to achieve greater coherence. What I find fascinating about the heart is that it actually sends about 60 times more signals to your brain, than your brain sends to your heart. This means if you want to improve your mental health and well-being, an ideal way to approach this is by improving your heart’s coherence. 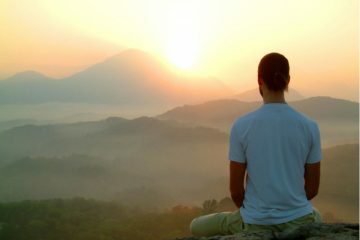 Improving your heart’s coherence involves training your mental state using meditative breathing techniques to balance the autonomic nervous system, which is composed of the sympathetic and parasympathetic nervous systems. Puts the body in a heightened state of alertness by releasing stress hormones like cortisol and adrenaline to prepare the body for intense physical or mental activity. It is our instinctual response to threats and stressors. As a result, it is often referred to as the fight-or-flight response. This system has the opposite effect. It relaxes the body and inhibits or slows many high energy functions in the body. It is our natural state when we don’t face threats or environmental stressors. As a result, it’s often referred to as the relaxation response or the “rest and digest” function. 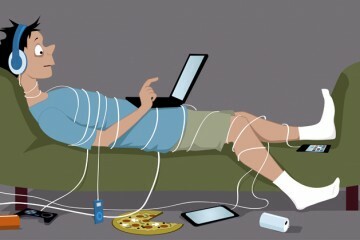 Modern people tend to be compulsive thinkers with chronically high levels of stress and anxiety. This puts enormous strain on the heart organ because the fight-or-flight stress response of the sympathetic nervous system is constantly being over-activated. Over time this wears down the organs of the body through the process of inflammation, which leads to much lower energy and difficulty concentrating the mind that is often masked by stimulant or drug usage. In terms of heart rate variability, the flight-or-flight stress response sends the heart into a disordered rhythm that throws off our physical and mental balance. The problem with the modern world is people with chronic anxiety and a negative self-image become stuck in a physiological state of stress because the body’s response to perceived anxiety and the immediate fear of being chased by a wild animal is nearly identical. The heart is arguably the most important organ in the human body. But the modern sedentary lifestyle wrecks complete havoc on the health of this vital organ. Heart disease is now the leading cause of death in America for men and women. And the problem is about to get much worse. It is estimated that 57% of American children today will be obese by the age of 35. Obesity puts enormous stress on the heart and chronically disrupts the homeostasis of other vital organs. A 2012 study at Northwestern University found that more than half of Americans will get heart disease in their lifetime. Approximately 90% of all Americans will develop hypertension (high blood pressure) in their lifetime. The combined cost of treating American’s heart problems and the associated lost productivity is estimated to cost society nearly a trillion dollars annually by 2030. These numbers are very shocking. To make matter worse, our heavy reliance on medication to treat health problems also has a negative effect on our hearts. All kinds of scientific studies are finding that common medications such as stimulants, antidepressants, and painkillers can increase your chance of suffering from heart disease later in life. 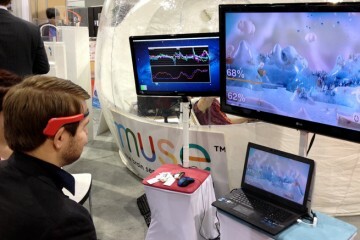 Fortunately, you can combine meditation and heart rate variability training to train your heart for coherence. Before I get into the technological tools for tracking your heart rate variability, I want to give you a quick overview of what heart coherence meditation involves. 1. Start with a strong sense of gratitude. I highly recommend starting your day with a gratitude journal. In terms of life hacks, this one of the most effective I’ve experienced for increasing happiness and connection with others. Think of something or someone in your life you are really grateful for at least 10 seconds. Feel the gratitude in your heart and then visualize that warm appreciative energy flowing out of your heart and traveling throughout your body. Take it to the next level and also make the intention in your meditation to regularly share your gratefulness with your family and circle of trust. 2. Bring your attention to your breath. With that sense of gratitude lingering in your body, gently bring your attention to your breath. It helps to choose a focus point. I recommend focusing either on the in-and-out pattern of your breathing at the entrance to your nostrils or on the rise and fall of your belly as you allow your body to breathe naturally. Spend a few minutes observing your breathing. Allow yourself to just enjoy the experience as it is without judgment. When your mind wanders, gently bring your attention back to your breath. Watch your thoughts arise and let them pass away in a state of mindful awareness. There are three pillars to the practice of mindfulness: non-judgement of the stream of your thoughts, non-attachment to your ego’s rumination about the past and future, and non-resistance to the feelings that come up with your body. 3. Practice daily and you will regularly reach a meditative state. For most people, with practice, it takes about 10-15 minutes to get into what’s often called the meditative state. This is associated with an increase in alpha wave activity in the brain that shifts your consciousness to a more relaxed state by fully activating your parasympathetic nervous systems’ relaxation response. This flushes your body and mind of the stress hormones cortisol and adrenaline that are chronically elevated by modern living and stimulants. The result is you feel a deeper sense of presence in your body and the pull of compulsive thinking decreases. This creates an electrical state of coherence in your heart, which heals your body and the physiological changes can be observed afterward with your heart rate variability tracker. Keep in mind if your body is tense or you have high-stress levels it may be difficult to let go and achieve the meditative state. That’s why movement practices like yoga or qi gong are popular to help relax the body to achieve a deeper state of meditation. If you’re just starting with meditation, you may have to practice for a few weeks before you can consistently get into a meditative state. Once you know that state of consciousness intuitively, it becomes easier to bring this deep feeling of presence to daily activities like working and learning. 4. Do a visualization exercise in this state. 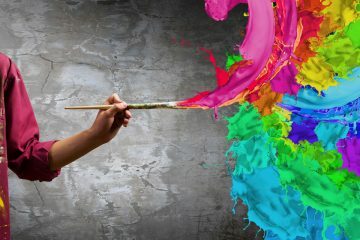 In the last couple minutes of your meditation, I recommend doing a visualization exercise while you are in a state of relaxation and heart rate coherence. Think of something really important you want to accomplish in your life. Visualize yourself accomplishing it. 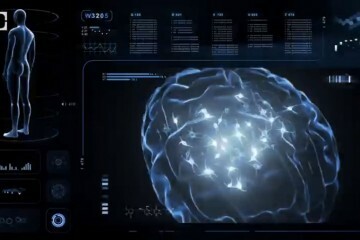 I call this process alpha brainstorming, because this alpha brainwave state dramatically increases lateral thinking. 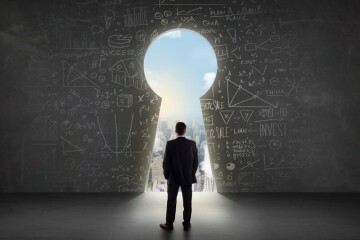 What you can clearly visualize in your mind’s eye, you will find much easier to actualize in your daily experience. 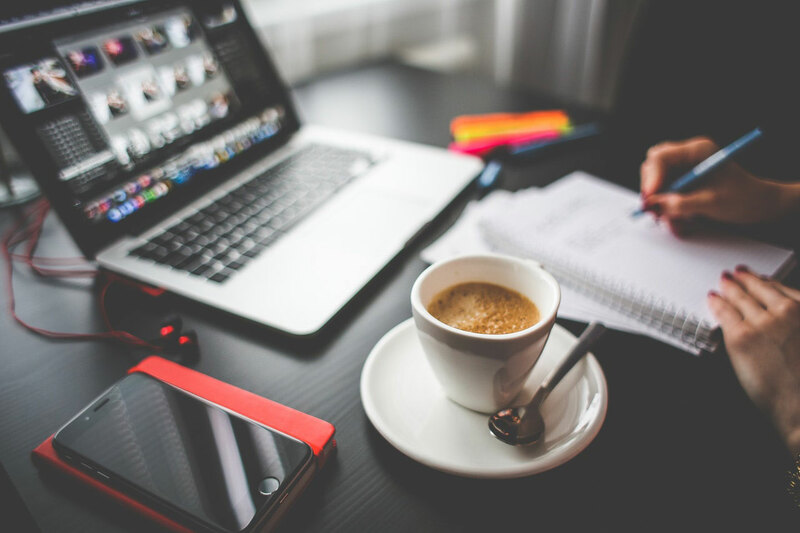 Visualization takes some practice to learn but the important thing is that you visualize yourself in the process of accomplishing your intention in as much detail as you can. Look through your own eyes. See it, feel it, and experience it as an inevitable, “felt presence” in your body. Finish by spending at least a minute feeling the sense of achievement you get when you have achieved your goal. The alpha meditative state is ideal for visualization because we are in heart rate coherence, which makes it more effective to prime our subconscious mind with auto-suggestion and self-hypnosis through the process of visualization. It is also a powerful gateway to achieve the presence of mind and body necessary to consistently achieve flow states when you are challenging yourself to learn something new or intentionally bringing single pointed focus to an intrinsically-motivated activity. The most inexpensive method I’ve found for doing heart rate variability training using my iPhone is with the Wahoo Tickr chest strap and the free app Elite HRV (which is also available for Android). If you want to consistently achieve a state of peak performance where you feel and perform your best, these heart rate variability tools can help you manage the stress and emotional resistance that inevitably arises in high pressure, high stakes activities where you push beyond your comfort zone. That’s why many professional athletes use both meditation and heart rate variability training in their training routine. Being able to achieve a state of heart coherence not only elevates the power of visualization, it also speeds up your recovery from challenging and stressful activities. 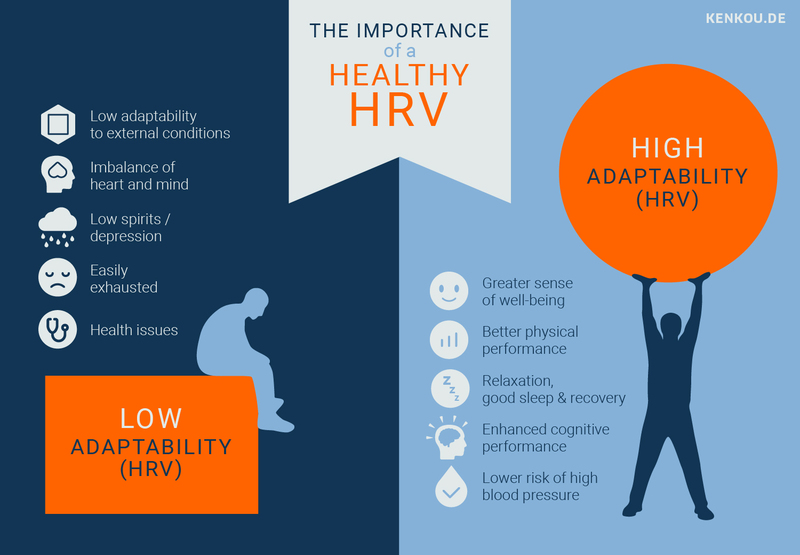 From the heart coherence readings provided by HRV training tools, it becomes much easier to predict when your body has fully recovered from your previous workout or stressful workday. 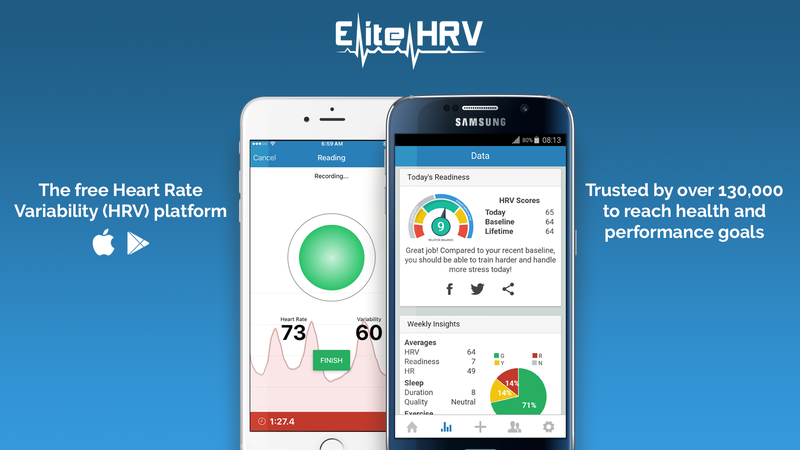 Elite HRV is a biofeedback for heart rate variability. They have excellent free apps for iOS and Android (there’s a $4.99 in-app purchase for premium features). You will need a Bluetooth compatible heart rate monitor. I would recommend buying either the Polar H7 ($59) or the Wahoo Tickr ($59) if you want a comfortable and easy-to-use heart rate strap. 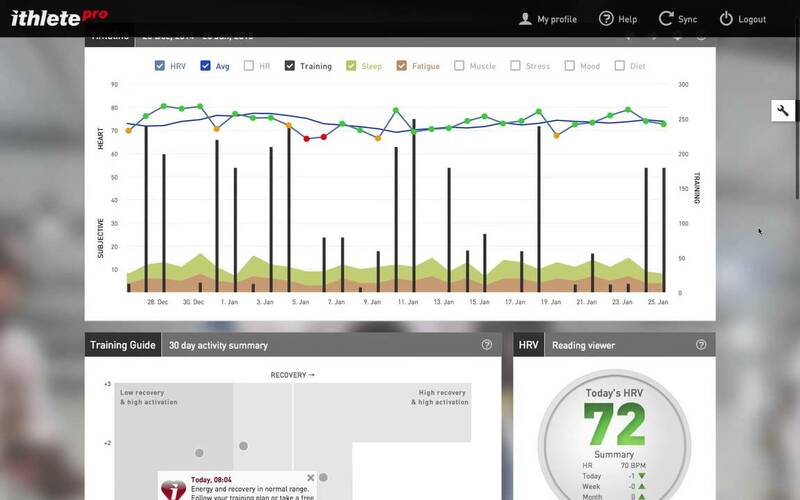 No special heart rate monitoring equipment is required with HRV4Training. This innovative app works by reading your finger on your smartphone’s camera lens to track your heart rate based on the color changes on your skin. For advanced athletes, iThlete has a whole suite of sensors and apps for optimizing coaching and performance based on heart rate variability. I think this is the best option for high performance athletes and coaches that want to sync up their heart rate variability data with their exercise routine. 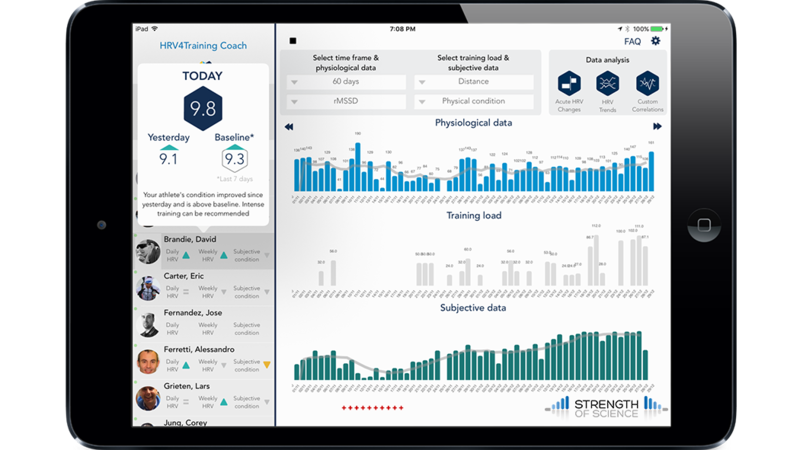 Their advanced HRV app for iPhone and Android is $8.99 and they also even more extensive quantified self analytics on their website. If you really want to commit yourself to heart rate variability training then I’d recommend going with HeartMath’s Inner Balance. While EliteHRV, iThlete, and HRV4Training are ideal for athletes wearing heart rate sensors, HeartMath provides a simple-to-use system for anyone to practice daily. 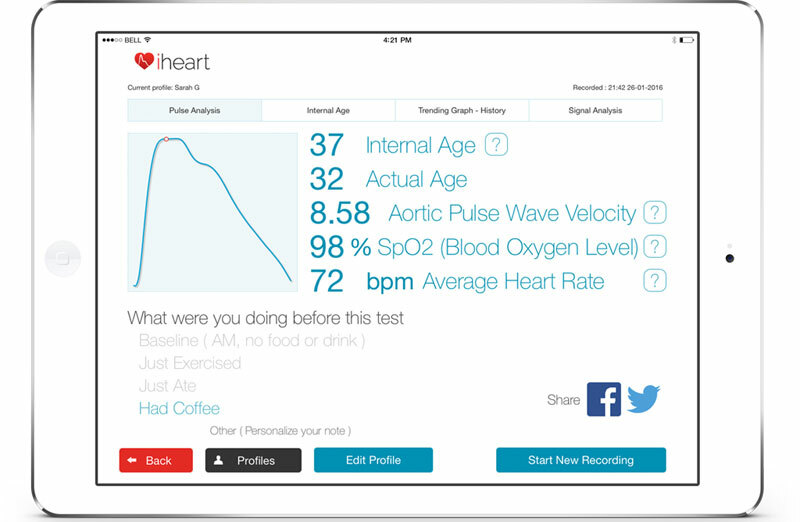 The HeartMath apps have excellent UX and are available for iOS and Android. The entire device can be bought on their website for $159. If you’re a meditation newbie, I think HeartMath is the best option for combining meditation and heart rate variability training. Although keep in mind that a much cheaper heart rate strap will be more durable and you can use it anywhere (and you can try HRV training out for free with EliteHRV). As you get better at reaching a meditative state and recognizing the states of consciousness where your heart is in a state of coherence, you can rely less on the technology and more on your intuitive understanding of the process of relaxation.